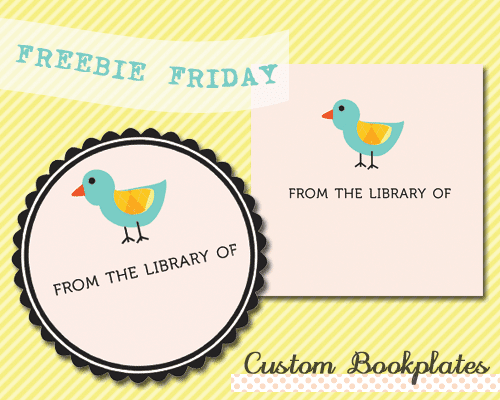 I will now be offering graphic freebies on (most) Fridays! I will try and post something new every Friday depending on how occupied I am with work and other things. For this Friday, I've created two bookplates. They are each downloable in pdf format and come ready to print with 6 to a sheet. Print them out on self-adhesive paper, cut them out and stick them on all your books!